National Archives suggest that whiskey can be matured in just a matter of hours. Distilling Scotch is a time-sensitive and careful task, monitored by strict regulations. 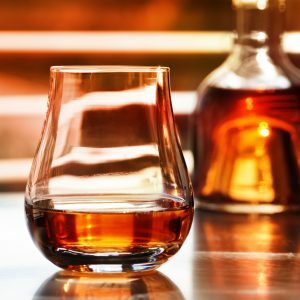 However, it has been discovered that almost 70 years ago, one distiller managed a breakthrough to mature the product in hours rather than years. In 1951, Mr. AJ Mezies, managing director of Fettercairn Distilleries, discovered that in small batches, mixing immature alcohol with active chemicals resulted in a smoother blend whisky and higher alcohol percentage. However, a larger batch attempt led to a lower proof and significant evaporation. The experiment was quickly shut down by the Board of Trade for fear that foreign competitors would use the process to undermine Scotland’s largest consumer product.